This week we're starting the Chinese New Year by changing our eating habits slightly. We decided to incorporate more meatless meals and seafood in our diet as my husband doesn't eat beef. Although it's not quite vegetarian, we're opting for pescetarian meals every other week. So you'll find some pescatarian & vegetarian friendly meals in my blog in the posts to come. You'll also notice that I'll be including Weight Watcher points in my recipe posts for those who may be following the Weight Watchers Program. For lunch today, I made a filling salad with salmon. Salmon is one of my favorite types of fish since it works well with various marinades, especially those of Asian flavors. For my salad, I prepared a salmon fillet to place on a bed of spring mix lettuce greens. For color and sweetness, I added some fresh fruits which made it an even more filling and satisfying meal. - Heat a small skillet over medium high heat. - Season your fillet with salt, pepper and dill seasoning. - Spray your skillet with cooking spray. - Place seasoned fillet in the hot skillet and cook 2-3 minutes on each side. - Squeeze the lemon juice over the fillet in the skillet. - Top your lettuce with the cooked salmon. - Sprinkle the oranges, strawberries and cheese around the fillet. - Drizzle the dressing over the salad. 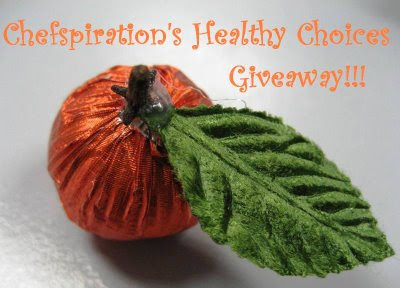 I've also submitted this recipe/post to Chefspiration's Healthy Choices Giveaway who's featuring healthy recipes. I chose to submit this recipe because it's not only colorful but combines a nice balance of fruit, vegetables and lean protein. Be sure to check out the upcoming round up on Chefspiration's blog! Such a wonderfully colorful dish! It looks delicious! I wonder if I could switch out the fish. Maybe with tuna? My husband hates salmon. I love the salad part! But I too would switch out the fish with chicken. Hard to think of Spring with the weather we are having but it looks tasty.